Agility breakaway tyre with small frame for maximum safety. Stainless steel frame and padded tyre covered in canvas. The new tyre shows that agility is currently looking in the direction of the safety of the dog. 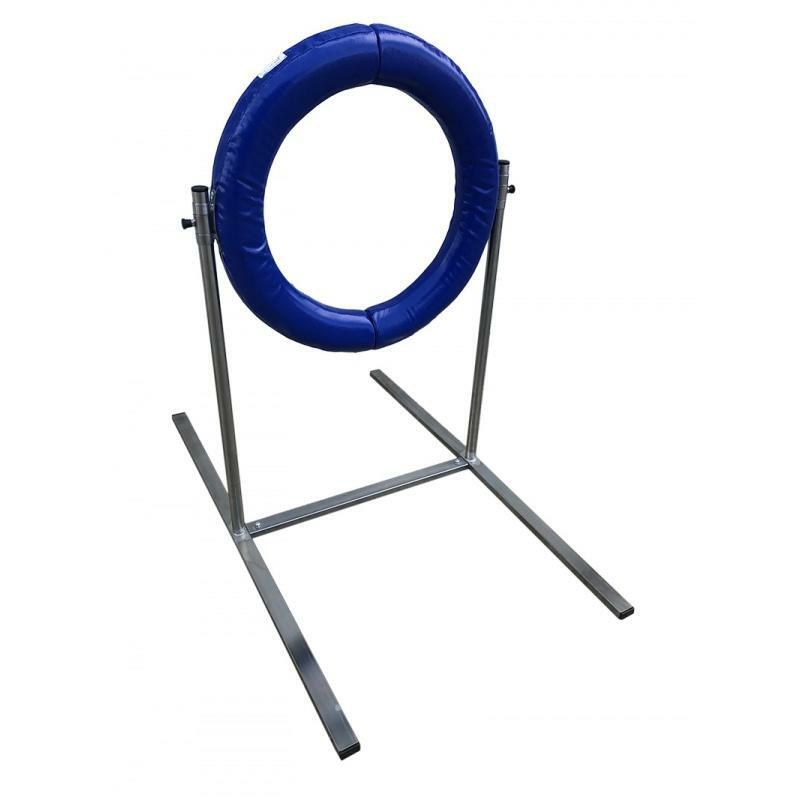 The tubular stainless steel structure without any sharp edges makes it very difficult for the dog to get injured in case of impact. Stability and sturdiness are very good due to the materials used. The padded tyre has a steel core and canvas cover for durability and nice colours availability. The tyre also opens up in the middle just like a door in case of impact. Adjusting the height is very easy due to pop up positioners. It comes with two predetermined heights but it can be customized with the heights any regulations require.